Boys’ soccer is set to begin another league season, in which they hope to build on last year’s success with a a second straight CIF appearance. 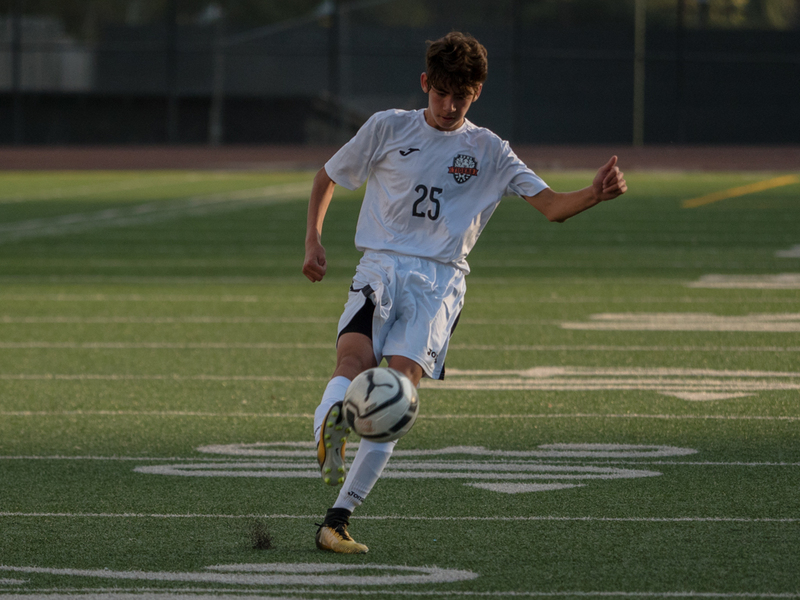 With an experienced nucleus of athletes and strong leadership, the boys’ soccer team is primed for a high finish in the competitive Rio Hondo League, as it returns 19 of 22 players from last year’s team, including six All League recipients. 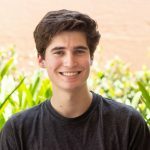 One returner, reigning first team all Rio Hondo forward and team captain Jack Renken, will be key in the Tiger’s attempts to return to the CIF playoffs. As a junior in 2016, Renken led the team in points, with 22 goals and four assists. This year has been more of the same, as Renken has been the team’s most consistent and efficient offensive player. The senior forward has scored eight goals in seven games, to go along with five assists. Renken has scored at least once in every Tiger win this year, proving how valuable he is to the team’s success. With his superior size and speed, Renken is an early favorite for RHL Player of the Year. Freshman standout Caleb Lee has been another bright spot on the offensive side of the ball. With his three goals in six games, Lee has filled some holes in the Tiger’s attack behind Renken. Lee will be instrumental in the team’s success once league season hits, as South Pas will need secondary scorers to defeat the tougher Rio Hondo defenses. On defense, junior Sage Pierone, junior Addison Foord, and senior Hank Rainey have played masterfully, keeping the opponents’ attacks at bay and creating opportunities for the offense. The defensive side of the ball will continue to be a priority in league play for the Tigers, who hope for low scoring games in order to compensate for their offense, which ranked third in the RHL with 23 goals, behind La Canada and Monrovia’s 34. Junior Ryan Wong and senior Jack Gallagher have split time in the goal this year, both defending the goal with vigor and effectiveness. They allow less than a goal a game on average and have combined to save 34 shots. The Tiger’s 7-2-1 league record in 2016 was enough for a share of second place in the RHL and a CIF berth. Facing adverse weather and field conditions, South Pas fell to La Puente in a 2-1 contest, ending the team’s championship hopes in CIF. The Tigers started off this year on a fast pace wins in hopes of avenging last year’s disappointing finish. South Pas began the 2017 campaign with four straight wins, including a 1-0 victory over non-league rival Polytechnic. A loss at Marshall didn’t set the team down for long, as they bounced back with a 3-0-2 record in their last five preseason games. South Pas’ 7-1-2 preseason record is tops in the league, and a 21-7 goal differential has proven its preseason dominance. The key to South Pasadena’s league success this year will be its ability to beat the frontrunners in the league. Last year, the young team was just 1-2-1 against La Canada and Monrovia (the two best teams in the league), compared to an undefeated record in six games against the bottom three teams (Blair, Temple City, and San Marino). With an older and more seasoned group, the Tigers are in better shape to beat the top RHL teams, which will translate to success in CIF playoffs. “Our expectations for this year is for every player to give everything they’ve got for a league title,” Renken said. The Tigers will have to overcome injuries to the front line, as two-year varsity player Raymond Yeo will be sidelined for the year with a leg injury. The team’s experience and depth will again play a role in trying to surmount these setbacks and get back to CIF playoffs. South Pas will also be without the services of former team captains Max Amido and Kevin Foster, who were lost to graduation. The two were key to the Tiger’s success on the field, as well as vocal leaders off the field, and will need to be replaced in both facets. The Tigers also lost striker Brian McKenzie, who scored five goals and recorded three assists in his senior season. Despite the departures, the team believes that they are in solid shape for a league title and CIF run, in what could be the last year of South Pas prominence in the RHL. “After four years in the program, anything less than a league title would be disappointing,” Rainey said. South Pasadena will begin its quest for a league title on Wednesday, January 10 when the Tigers take on San Marino in its league opener. Last year, the Tigers went 2-0 against the Titans with wins of 2-1 and 3-1. Emotions look to run high and another competitive game between the two teams is to be expected, as it is the first league game and a rivalry matchup.